Endangered Earth Online: Your weekly wildlife update. If you like what you read here, sign up to get this free weekly e-newsletter and learn the latest on our work. The Arctic is under siege from climate change. So the Center for Biological Diversity has filed a notice of intent to sue the Trump administration to protect habitat for two ice-seal species in Alaska whose sea-ice homes are melting. 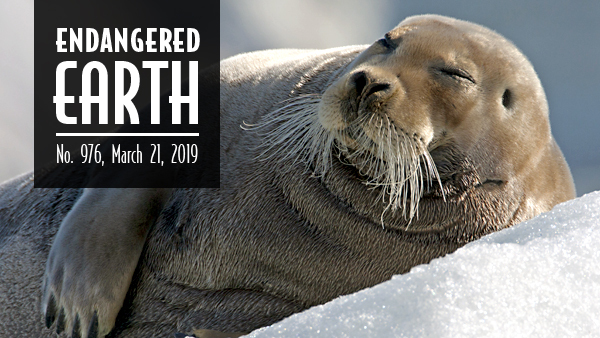 The Center first petitioned to save bearded and ringed seals in 2008, and the Obama administration listed them as "threatened" under the Endangered Species Act in 2012. They're still at high risk from climate change and oil spills. "Ice seals' homes are melting away, and the Trump administration has to give them protection," said the Center's Emily Jeffers. "With the Arctic warming at twice the global rate, ringed and bearded seals urgently need our help." Read more in our press release. The U.S. Court of Appeals for the 9th Circuit has denied yet another attempt by TransCanada to start building its proposed Keystone XL pipeline. The court left in place a lower-court ruling that blocked construction on the controversial tar-sands pipeline amid an ongoing legal challenge. 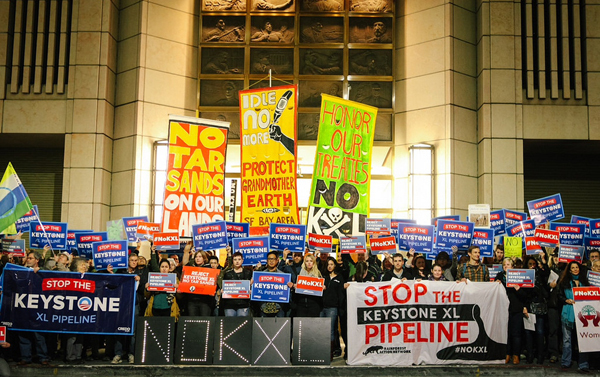 "Keystone XL would be an absolute disaster for wildlife, water and our climate," said the Center's Jared Margolis. "TransCanada won't be threatening communities and habitats with pollution for profit while regulators review this terrible climate-killing project." Here's a little-known fact: More than 400 American Indian tribes around the country aren't recognized by the federal government. That means they often lack the legal resources to protect their cultures, lands and ecosystems. But some progress is being made, thanks to new laws and policies in California. Get more at The Revelator and sign up for The Revelator's weekly newsletter. 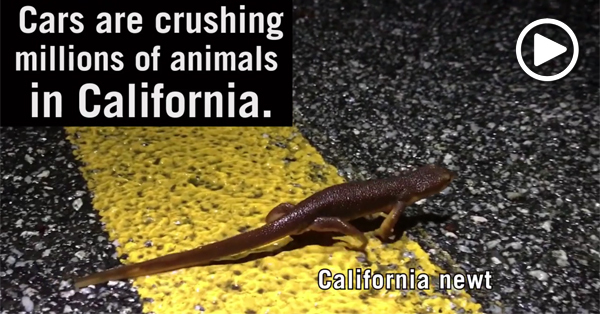 Cars and trucks kill millions of animals every year in California. As development reaches into the state's last wild places, many creatures — from mountain lions to San Joaquin kit foxes — are pushed onto roadways, with lethal results. To learn more check out our video on Facebook or YouTube and read this article by the Center's J.P. Rose. If you live in California, please write to your state representatives urging support of new legislative actions to track roadkill and build wildlife crossings. Devastating news from scientists: Only 10 vaquita porpoises likely remain in the world. The animal's extinction is virtually assured without bold, immediate action. Vaquitas, the world's smallest and most endangered cetaceans, are found only in Mexico's northern Gulf of California. Scientists are calling on the country's president, Andrés Manuel Lopéz Obrador, to end all gillnet fishing and adopt a "zero tolerance" policy of enforcement in the vaquita's last habitat. "One of Earth's most incredible creatures is about to be wiped off the planet forever," said the Center's Sarah Uhlemann. "Yet Mexico has only made paper promises to protect these porpoises from deadly nets, without enforcement on the water. Time's running out." Read more in this New York Times op-ed. Have 30 Seconds to Help the Center? We need your help to save wildlife and wild places from President Trump. Every month CREDO Mobile donates $150,000 to three progressive organizations, and this March we're one of them. Help the Center earn a bigger portion of the funds by voting for us. It's free and takes only 30 seconds. Cast your vote and share it with your social networks. Nevada's iconic Ruby Mountains have been saved from oil drilling and fracking: The U.S. Forest Service has rejected a proposal to auction off 54,000 pristine public acres for dirty oil extraction. That's because the plan was met with overwhelming public opposition, including 13,000 letters of protest — many of them written by Center supporters. Thank you for making a difference. "We're grateful to Senator Catherine Cortez Masto, Assemblywoman Heidi Swank and the thousands of Nevadans who spoke out against this disastrous proposal," said the Center's Nevada Director Patrick Donnelly. 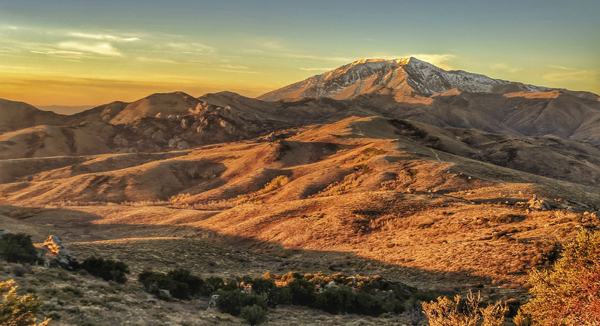 "Now it's time to pass the Ruby Mountains Protection Act to make these critical protections permanent." Read more in The Nevada Independent. The Trump administration has announced land-management plans that will wipe out critical protections for imperiled greater sage grouse across seven western states. The new plans ― covering millions of acres of public land in Colorado, California, Nevada, Oregon, Idaho, Utah and Wyoming ― allow enormous new loopholes for fossil-fuel development that will push these splendid, showy birds toward extinction. 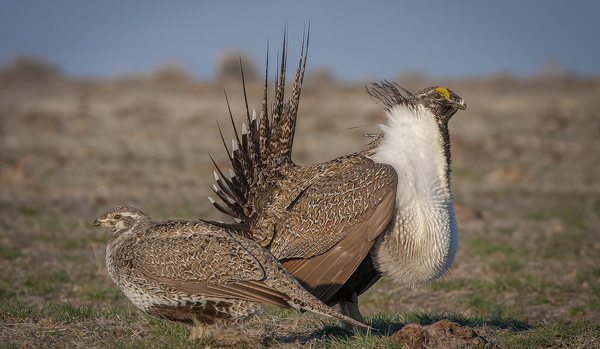 This scheme will let the Bureau of Land Management lease out hundreds of thousands of acres of high-priority sage-grouse habitat for oil and gas drilling. They also scrap science-based standards for grazing in their habitat and make it easier for officials to nix buffers around mating and nesting areas. 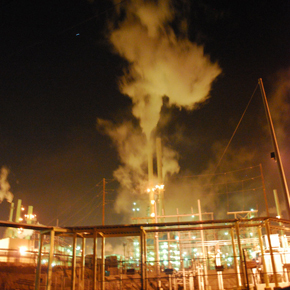 A new study in Proceedings of the National Academies of Sciences found that African-American and Latino communities are exposed to more deadly air pollution than mostly white areas — and that most of the pollution is generated by white communities. "These are fundamental injustices that need to be addressed," said Myrelis Diaz-Martinez, the Center's Latino engagement coordinator. "Clean air and water are basic human rights, no matter where you live." Read more in our press release, available in English and Spanish. The gum leaf skeletoniser caterpillar (Uraba lugens) has an interesting sartorial habit. After molting it takes its discarded head exoskeleton ... and places it on its own head. The caterpillar, which molt ups to 13 times before making a cocoon, stacks multiple discarded head casings to create a towering goth crown of caterpillar "skulls." How does the tower of empty head shells stay in place? Scientists aren't quite sure. And why do the caterpillars do it? Behavioral ecologist Petah Low, who studies these creepy-cuties, believes the headdress of heads is used as a defense against predators. Learn more at BBC and check out a particularly great photo of a decked-out gum leaf skeletoniser on Twitter. 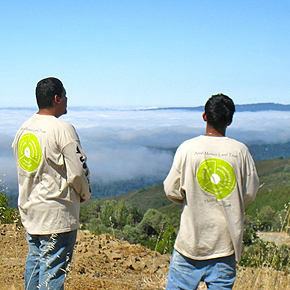 Donate now to support the Center's work. Photo credits: Bearded seal (c) Larry Master; Keystone XL protest by Bonnie Chan/Rainforest Action Network; native stewards on the summit of Mt. Humunhum by Sara French, used with permission of the Amah Mutsun Tribal Band; California newt by Tiffany Yap/Center for Biological Diversity; vaquita by Barbara Taylor/NOAA; CREDO logo; Ruby Mountains by Patrick Donnelly/Center for Biological Diversity; greater sage grouse by Elaine R. Wilson/Nature's Pics Online; refinery by Nick Fullerton/Flickr; Uraba lugens by John Tann/Wikimedia.